I grew up with busy parents who had an eat to live mentality, not live to eat. Our cabinets were full of whole grains and dried fruits. Our fridge always had fixings for sandwiches and multiple jars of pickles (really. so many pickles.). There weren’t ever really snacks or sweets in the house, except for cookies. Mom always had a Tupperware container of home-made chocolate chip cookies on the kitchen counter. One of my friends was so certain of this regular occurrence that whenever she’d drop me off she’d come inside to grab some cookies for the road. While our kitchen was mostly stocked for sandwich-making, there were a few special meals that mom whipped up on occasion. Her homemade pizza with a tomato paste base was always a favorite. The next morning we’d usually have cinnamon rolls made from the extra pizza dough. Her Challah bread was a treat we begged for. I often considered that eating Challah plain could be considered a well-rounded meal even though my mom tried to explain that a body does not run on carbs alone. Then there was Brie and Tomato Pasta, which was something extra-special. It seemed so fancy as a kid. Brie wasn’t a staple in our refrigerator and it certainly wasn’t served at the camp dining hall where we ate many of our meals outside the house. Mom was introduced to this simple dish by a friend of hers who came to visit us in Minnesota one summer. Mom, Dad and their friends sat on our dock, enjoying the view of Sturgeon Lake and had wine and pasta late into the night. After that evening Brie and Tomato Pasta became a staple in our house. I’m not sure that there’s ever been a true recipe for it, but I thought I’d give the recipe some form so that you can enjoy a taste of this pasta, best enjoyed on a summer night with wine and friends. 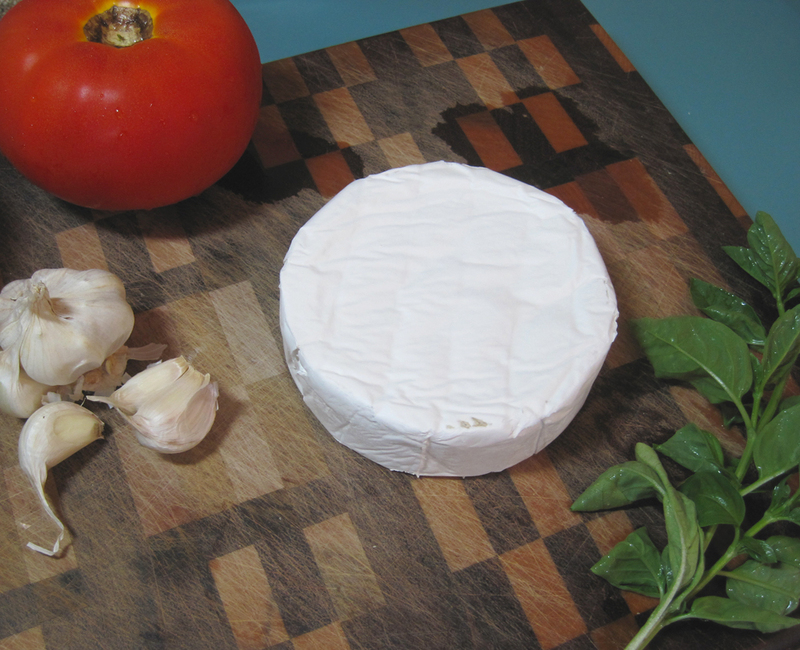 • In a large bowl mix garlic, brie, tomato, basil and olive oil. Mix well and set aside, letting flavors mix. • Prepare pasta al dente. Drain. 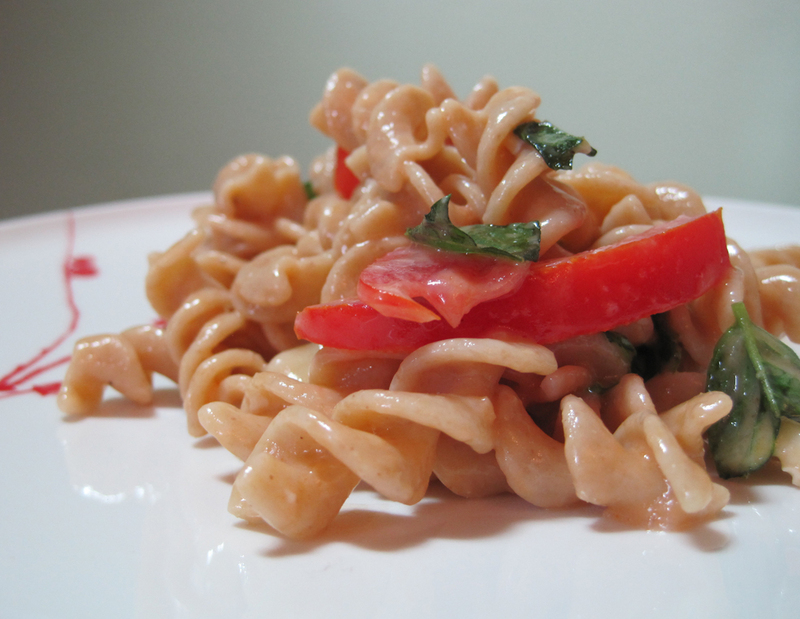 • While pasta is still hot, mix into the brie mixture, covering all pasta well. Continue to stir until most of the brie is melted over the pasta. • Serve hot or cold (make sure to take a bite and enjoy when warm, but it works great for unheated leftovers later). I actually avoided reading this post because I love Brie so much and I’m trying to be good. But that’s it, you got me, we’re having this pasta dish this weekend. 🙂 Love your stories of growing up. Well, really when it comes down to it, there’s only about 1.25 ounces of Brie per serving of this pasta. That’s not too terrible 🙂 Hope you enjoy it. I want to eat this right now. My stomach is mad at me for reading this when I don’t have the ingredients in the house. I made it last night for supper …. and Scott was very happy because A) We had our second supper of the summer together and B) because I did not add pickles. Thanks for the recipe reminder Claire. And I have Brie in the fridge quite often now. ’tis the season for a well-stocked fridge now that summer is nearing its end! So glad you and Dad got through it!